The difference in rent is pretty steep with new-built, but you do get dish-washers and laundry and such at least. The plans are now posted online... here are a few images (apologies for the low resolution). Is that a neon sign down the side? (or are you just happy to see me?) I can't imagine the neighbours being too keen on that. It's likely not neon (but maybe LED?) 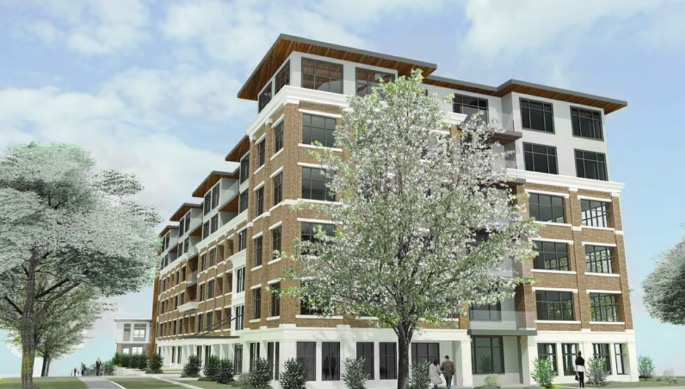 because it directly faces the townhouse portion of this development (a separate structure seen partially in this rendering). Edited by Kapten Kapsell, 29 September 2017 - 08:36 AM. It's likely not neon (but maybe LED?) 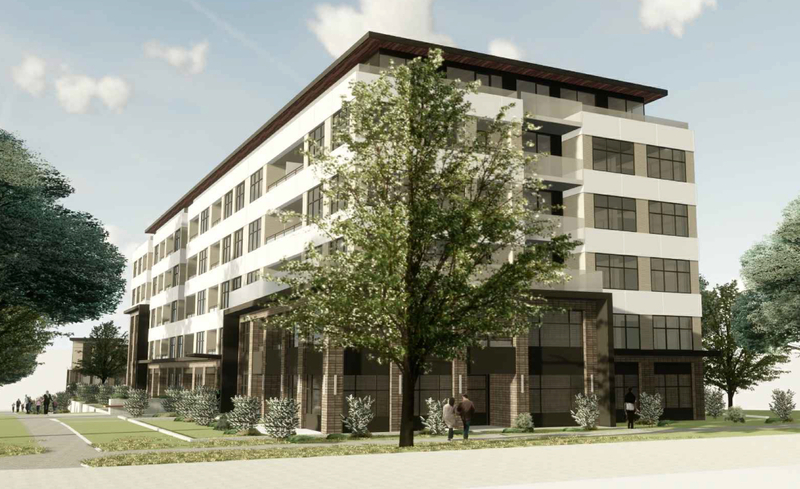 because it directly faces the townhouse portion of this development (a separate structure not seen in this rendering). Then I'd hope I didn't have a bedroom window on the back of my new townhouse. I am not sure a rental structure of this size needs signage like this. 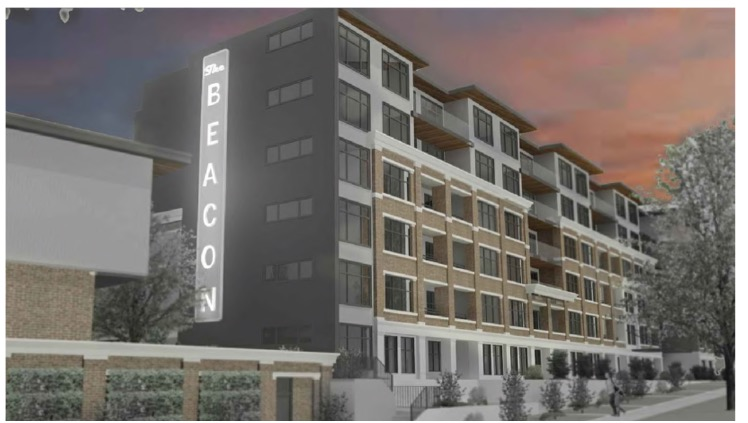 * I do understand that the sign is a "beacon"
The sign is cool, I just don't see it being approved for this location. 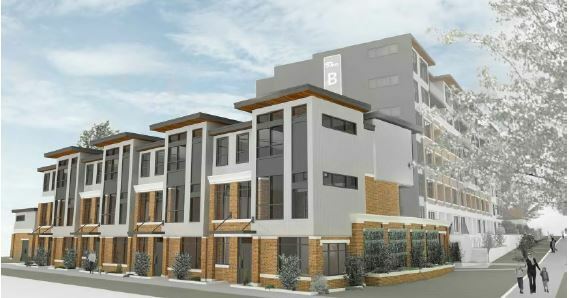 Here's a rendering of the townhouse component. Are the townhouses attached to the apartment building or are they an entirely separate structure? I can't quite tell from this rendering. 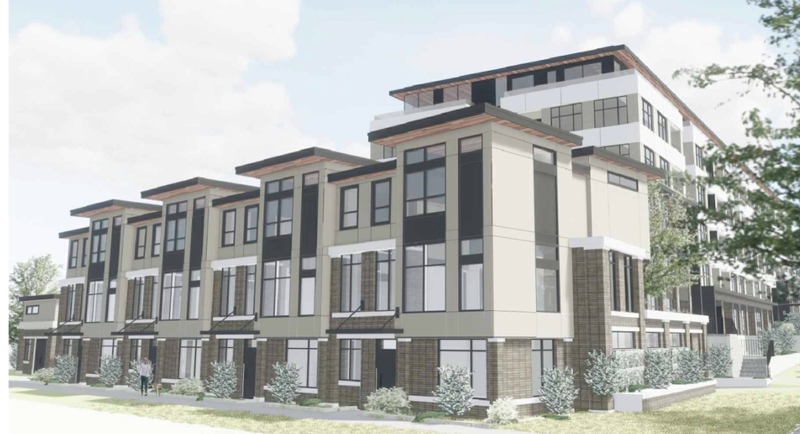 ps: I'd love to see townhouses like these built in 1000 block of Mason Street. They'd be the perfect compliment to the project currently under construction on the former St. Andrew's School site. There are some changes in balconies and massing to the west-facing frontage. Edited by Kapten Kapsell, 10 January 2018 - 01:16 PM. Wow. Is that a restoration of the existing building or a new structure? It’s hard to tell with this design. 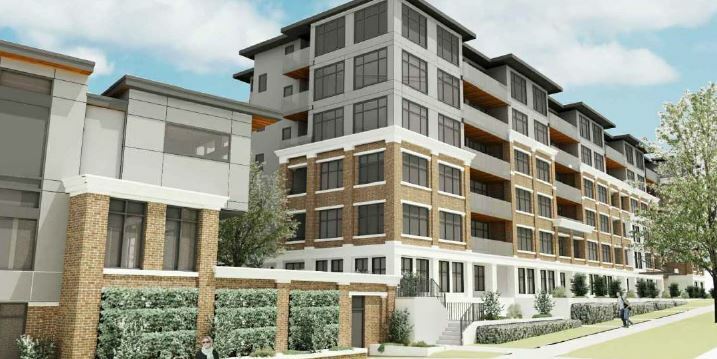 It’s a new 6-storey structure on Quadra and new townhouses facing Convent Place. The existing 4-storey rental is “beyond repair”. Two existing SFHs at the north end of the site would be demolished. Ok, gotcha. That’s quite a major departure from the earlier design. Wow. Do you dislike the new massing...?